Mrs. Julia Wall Johnson, 99, entered into rest Thursday, May 17, 2018, at her residence. She was the daughter of the late Mr. Joe Bailey and Mrs. Kate Weeks Bailey. Graveside services will be at 11 a.m. Saturday, May 19, 2018, in Savannah Valley Memorial Gardens with Rev. Mike Sutphin officiating. Mrs. Johnson was a native of Columbia County, but had lived in Thomson for many years. She was a Registered Bridal Consultant for 42 years with Edward B. Wall Jewelers. She was an avid traveler all over the world. She was a member of First Baptist Church of Thomson, where she taught Sunday school for 33 years. Mrs. Johnson was preceded in death by her parents; her husband’s Mr. Edward B. Wall and Mr. Brainard Johnson; and a son Mr. Joe Wall. 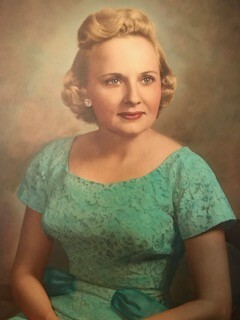 She is survived by a son, Mr. Eddie Wall (Norma) of Thomson; two grandchildren, Trevor Lee Fullbright and Edie Wall Murray, both of Thomson; two great-grandchildren, Taylor Murray and Hannah Murray, both of Thomson; and a brother, Dr. Martin Bailey. Friends may call at the residence, 339 Gordon Street, Thomson, Georgia 30824 or the Curtis Funeral Home. The family will receive friends following the service.